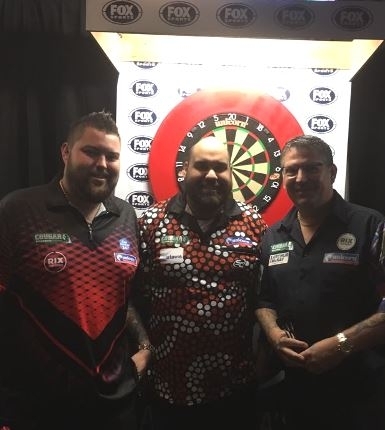 Kyle Anderson will face best mate Damon Heta in the 1st Round of the Melbourne Darts Masters. The Unicorn man and Heta have been great friends for years since they were at Yulebrook College in Madddington back in the day. The Aussie pair have had many great battles down the years but this will be the biggest of them all at the Hisense Arena on Friday. And if Kyle wins he could well face Gary Anderson in the quarter-finals! The Scot will face Aussie debutant James Bailey in the 1st Round. Gary is the No.2 seed here in Melbourne. All three Unicorn players are in the bottom half of the draw. Michael Smith is desperate to put his shock defeat in Auckland behind him. He will play highly rated Australian Tim Pusey who pushed Gary Anderson all the way in last week in New Zealand last week.